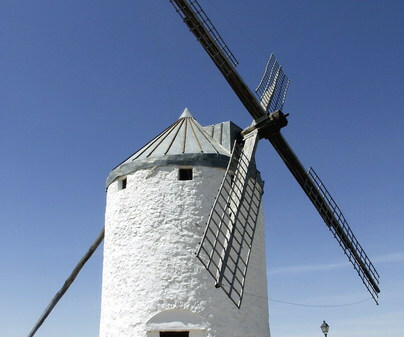 Camuñas is a quiet town in La Mancha, of agricultural tradition where the preservation of La Tercia and La Unión mill stand out. The highest point of the town centre is Nuestra Señora de la Asunción parochial church, built with bricks and rubble mansonry. The building has the Maltese cross which makes us remember the union of the building with the Order. Another interesting place is the Clock Tower (La Torre del Reloj). 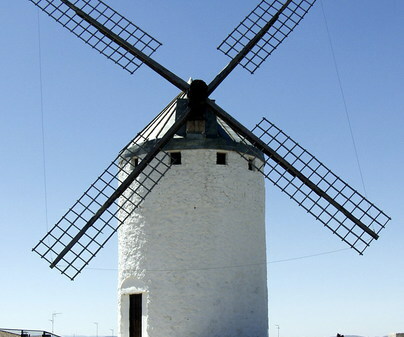 La Unión Windmill, in Camuñas, was probably built in 1866, date which appears over the door, but actually it seems that this date is the date of its construction after a fire, because it is known as the Molino Viejo (Old Mill), as the location where, in 1809, Juan Pedro Sánchez, the brother of the Tío Camuñas was hung. Its current name is because, after this fire, the people in Camuñas united to contribute financially to its construction. 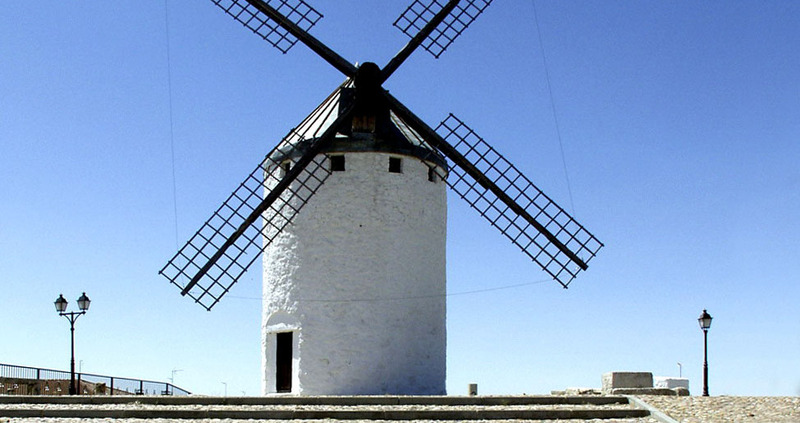 The machinery was acquired in Campo de Criptana, from an old mill which was unused, called “El Sardinero”. During its reconstruction it underwent some changes, what make the building larger internally and, although the diameter was the same, the reed roof was replaced by a zinc one.